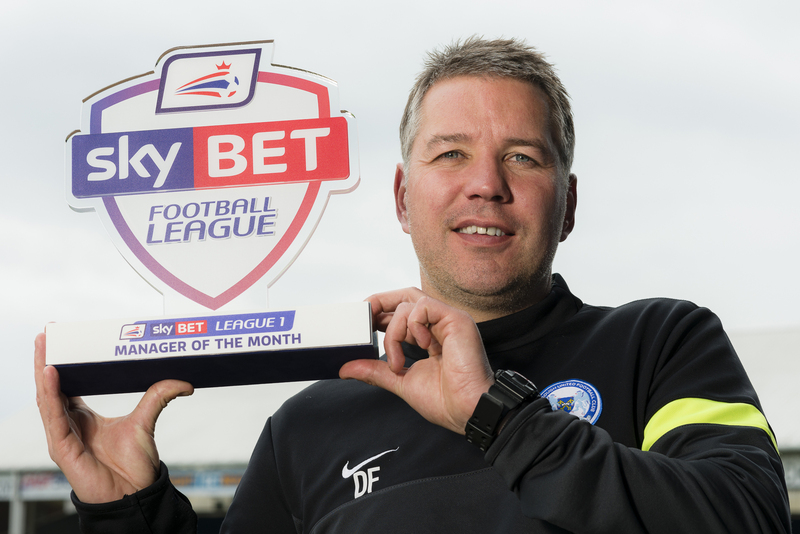 Darren Ferguson won the Sky Bet Manager of the Month award for April 2014 after steering his Peterborough United side to 5 wins out of 7 games to secure a 6th place finish in League 1. 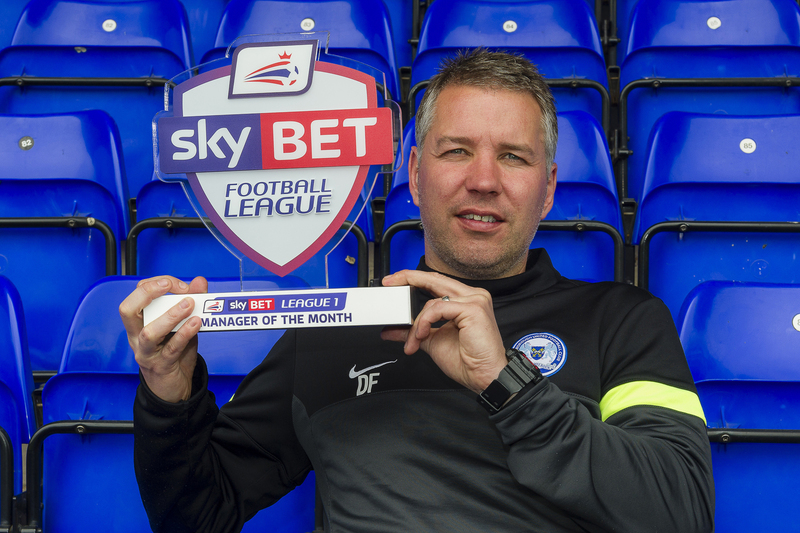 This was a remarkable achievement that earned the team a well-deserved play-off showdown with 3rd place Leyton Orient and the chance to secure promotion to the Sky Bet Championship. 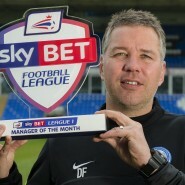 With preparations for their play-off match well under way, and reluctant to jinx any success, it was a delicate approach required to get shots of Darren with the Sky Bet Trophy for use in the press. 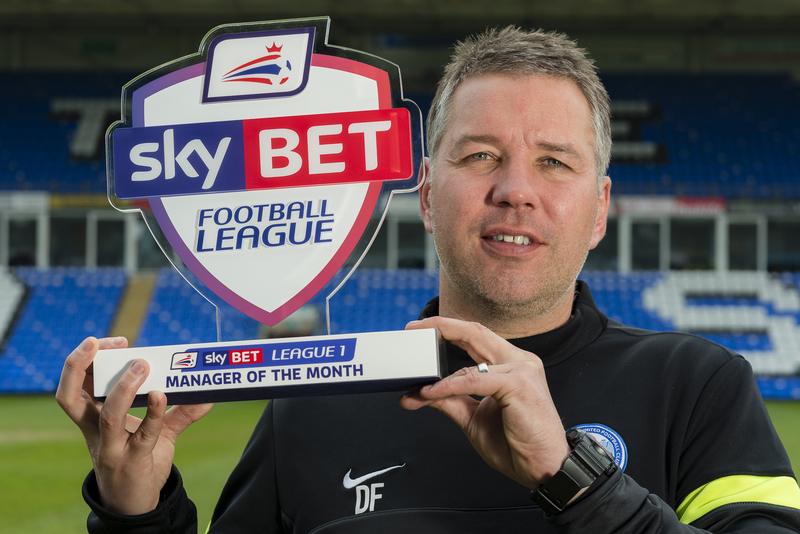 With a press call arranged at their London Road Stadium, Darren duly obliged and my client was able to get the press coverage they were after using the images in articles like this.